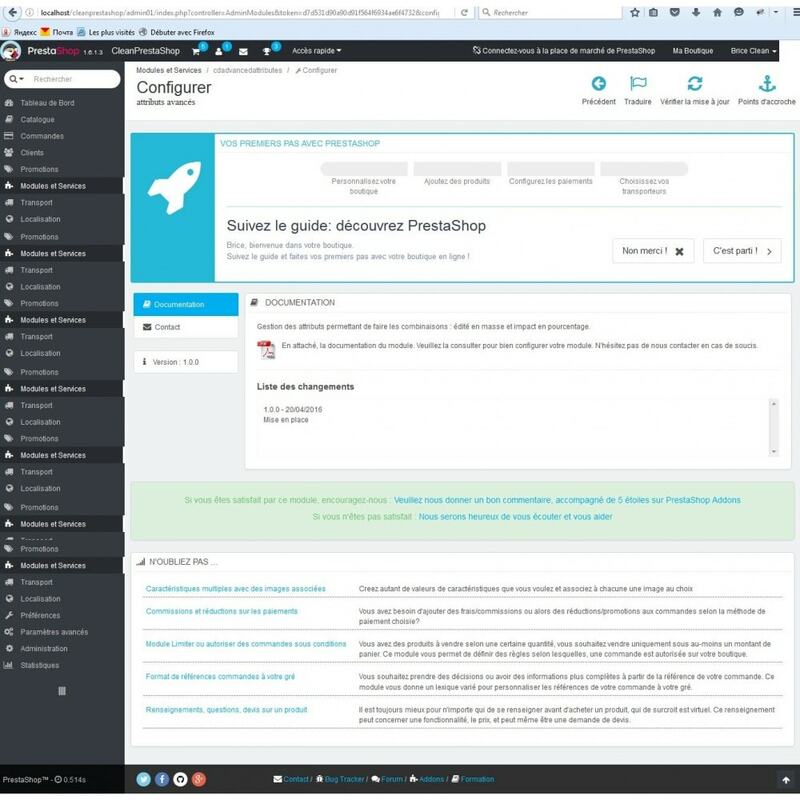 This module prestashop enables you to manage all your combinations of bulk product on the same page. 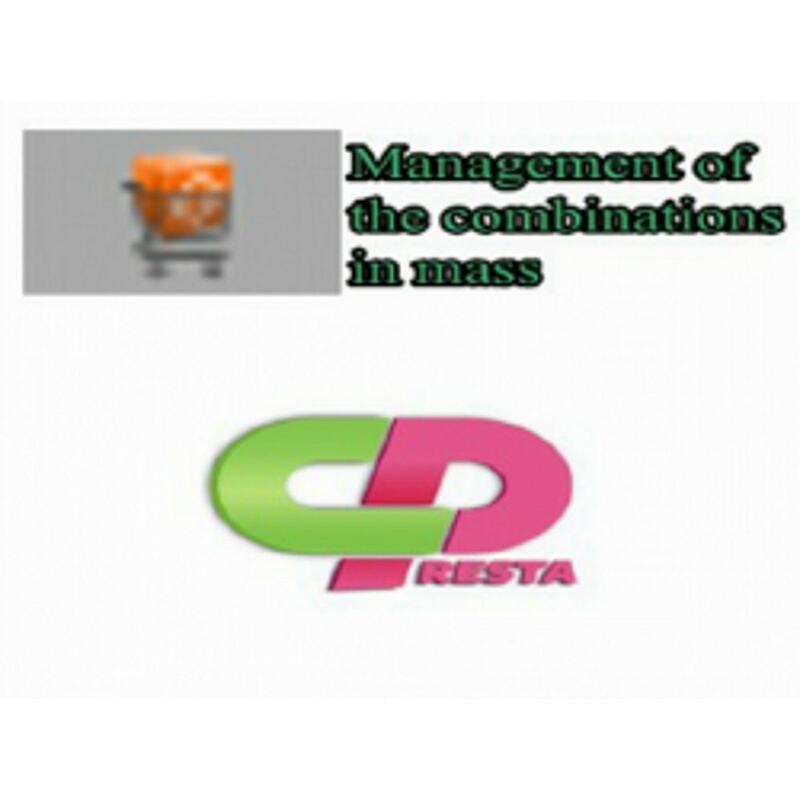 The management of the combinations becomes easy for you. On a page and a recording, you modify, configure your various combinations of products. It is necessary thus makes it possible to gain in time and effectiveness. This module enables you to manage all the combinations of a bulk product on a page. With regard to the price of the combinations, you can either make increases, or reductions expressed as a percentage or in value. This module does not act on the face office. It is a module purely of administration. This module created a mitre “attribute advanced” on the product page to enable you to manage your combinations more easily. A combination of the various combinations is proposed to you with the fields making it possible to configure them. It is enough for you thus to enter the values and to record. This module has no more for the customer. Make backup before each update..